UPSSSC is going to Recruit Village Development Officer in 2018 Get Free Study Material for Upcoming VDO Exams. General Knowledge and Current Affairs for VDO. Here we have lot of study material related to upcoming competitive exams. 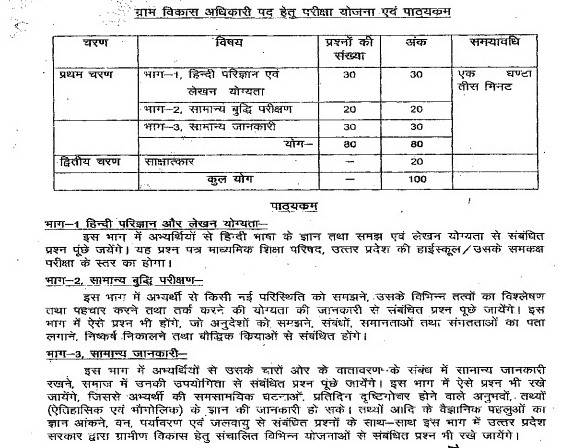 Uttar Pradesh Gram Vikas Adhikari last years question paper subject wise marks distribution.